Assemblywoman Cecilia Aguiar-Curry Introduced A New Bill, AB 228, Which Would Make It Legal To Add Industrial Hemp To Products Such As Lotions, Food & Drinks. KCRA 3 (January 24, 2019) A chemical found in marijuana is becoming trendy for pain control and other health issues. Now, a California lawmaker wants to make it legal to add industrial hemp products — including CBD oil — to lotions, food and drinks. 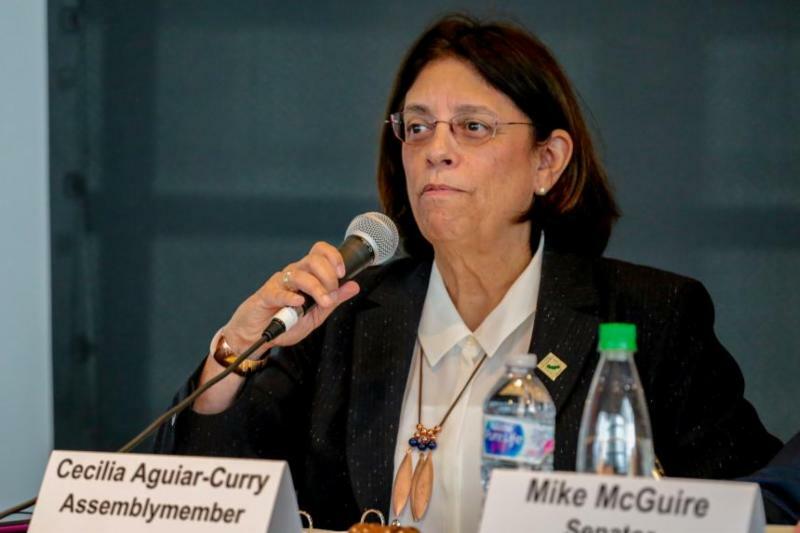 Assemblywoman Cecilia Aguiar-Curry said she’s heard from athletes, trainers and people dealing with pain who use products, like creams and lotions, containing CBD. Aguiar-Curry said her focus with Assembly Bill 228 is to address those concerns, but the food and beverage industry could see change, too. The Motley Fool (January 28, 2019) How can such a predictably boring business model of producing electricity and selling it to residential and commercial customers go bust? The answer, as some pundits have opined, is climate change. A rash of deadly and/or costly fires in Northern California in 2017 and 2018 has led to lawsuits galore and a massive presumed liability for PG&E. While it might seem as if the ramifications from PG&E’s financial woes are confined to it, its shareholders, and the unfortunate residents affected by these fires over the past two years, I can assure you there are almost certainly going to be other “casualties.” In particular, Northern California’s “green” industries could be nothing short of decimated as a result of PG&E’s problems. Marijuana Business Daily (January 26, 2019) When California marijuana dispensary owner Chris Jennings decided to apply for a cultivation license in 2016, he helped organize a meeting for growers to discuss water and other natural resource regulations with several city and county officials. That meeting, attended by about 80 growers, was beneficial. But it provided only a smidgen of the information Jennings and other growers in Lake County would need to meet county and state environmental requirements. Green Market Report (January 27, 2019) Many of those individuals involved in California’s underground cannabis market who were potential taxpayers did not pay CCT because California made it too difficult for them to migrate into the legal commercial cannabis market. Many closed up shop. Many others decided to stay in the underground as long as possible. 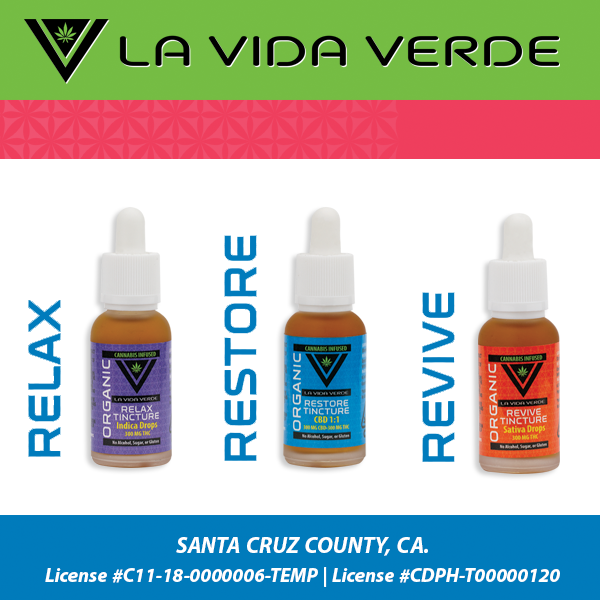 Many cultivators have continued struggling to cope with the regulatory labyrinth California created. California will not collect a substantial portion of any lost 2018 cannabis tax revenue. Governor Newsom needs to ask the Internal Revenue Service what percentage of delinquent income taxes are collected and at what cost? The Fresh Toast (January 25, 2019) California was predicted to become the rockstar state in the realm of legal cannabis, but the recreational pot sales have not quite taken off in the way that many had hoped since the market launched in 2018. Early predictions showed that California would rake in around $1 billion in revenue during the first year of legal sales. Needless to say, the state has fallen short. California is now expected to generate around $471 million — $630 million less than what Governor Jerry Brown projected in his last budget. Still, pot taxes in those jurisdictions allowing legal sales are compounding the problem by nickel and diming customers to death. NBC Los Angeles (January 28, 2019) A Hollywood physician has lost his medical license after recommending that a father give his 4-year-old son marijuana cookies to control temper tantrums, according to California’s medical board, but prescribing marijuana to a child was not in itself what got the man in trouble. Dr. William Eidelman, a natural medicine physician, improperly diagnosed the boy with attention deficit hyperactivity disorder and bipolar disorder before recommending marijuana as the treatment, the medical board said in a decision announced last month. The Boston Globe (January 28, 2019) The number of states with legal marijuana is expected to jump significantly in 2019, and many already-filed bills offer a look at what those new legal cannabis systems might look like. While marijuana legalization legislation has already been introduced in at least 17 states, including several traditionally conservative ones, there are 10 that seem to hold the most promise of passage at this point. Forbes (January 27, 2019) The Super Bowl is not ready for marijuana. At the time, nobody had seen the ad. Yet, cannabis advocates everywhere were, of course, broken up about the network’s decision to shun cannabis from Super Bowl LIII, all while accepting millions of dollars from the alcohol companies. Once the federal government does finally lift its ban on marijuana, the legal weed trade will have more than enough cash in the coffers to drop the occasional $5 million on a 30-second ad during the Super Bowl. And CBS or whichever network is running the big game at that time will gladly accept their money without pause. The Nation (January 28, 2019) For the first time in decades, federal marijuana legalization seems possible in the foreseeable future. Given the wave of states’ legalizing cannabis through ballot initiatives, the grudging acceptance of its “inevitability” by the Food and Drug Administration, and the number of Democratic candidates slipping it into their campaign agendas, cannabis advocates are finally seeing years of activism come to fruition on a nationwide level. But some people don’t see marijuana legalization as a victory for social justice and medicine, or even as a boon for business. ABC 5 News (January 28, 2019) Two Democratic lawmakers plan to introduce a bill in both chambers that would outline the legalization of recreational marijuana in Minnesota. Sen. Melisa Franzen and Rep. Mike Freiberg plan to introduce the bill Monday, according to a press release from their offices. Gov. Walz has previously expressed his support for the legalization of recreational marijuana. Minnesota currently has a restrictive medical marijuana program.